Browsing through my Facebook feed which is more often than not filled with sad and tragic stories, I notice it’s time for something encouraging and (hopefully) inspirational. A lot my friends are used to my conversations starting with “This one time in Iceland” or “When I lived in the Netherlands” and can’t understand how all these experiences have come about. They often view me as an adventerous person who is lucky enough to have incredible experiences fall upon me. But that couldn’t be further from the truth. All of the places I’ve been and things I’ve experienced began with me opening up, taking the plunge and saying yes to something. Interesting things don’t just happen to people by accident; people make choices which lead to better opportunities. When I was at home, a friend of mine told me about his experiences of couchsurfing around the world. At first, I was sceptical of the idea, but the more he shared with me about these great people he’d met, the more i was convinced and set up my own profile. The next day I came across an incredible photo of a friend posing on a cliff. 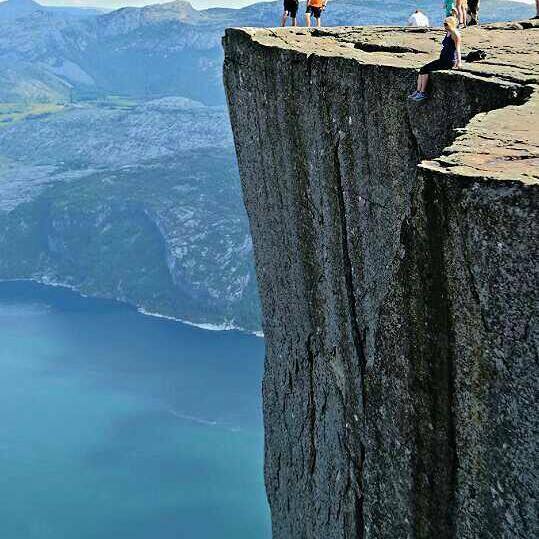 After a bit of research I discovered it was Preikestolen rock in Norway. At this point I was heading to Europe in a few months and was collating ideas of where I wanted to go. I was determined to see it for myself, however being in Norway I assumed it would be a dream too expensive and out of reach. 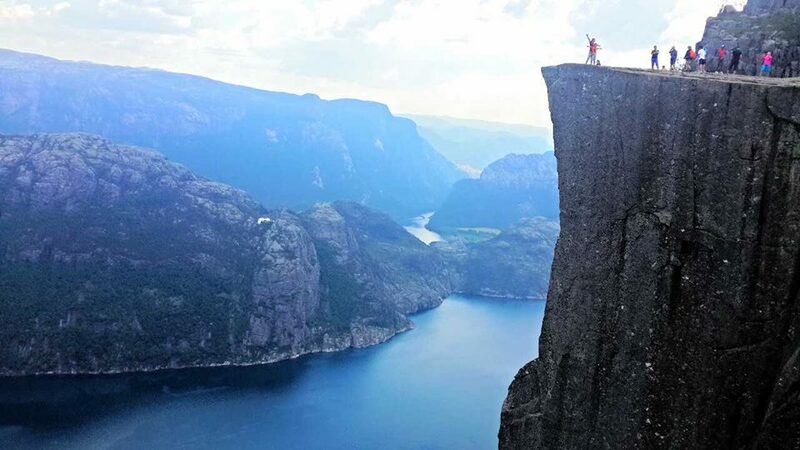 I remembered my couchsurfing profile and started browsing for hosts on a whim near Preikestolen rock in Stavanger, Norway. I sent a few requests and soon enough I had found a nice host. Just like that, I was going to be at Preikestolen rock! I couldn’t believe that an abstract idea turned into reality so quickly. 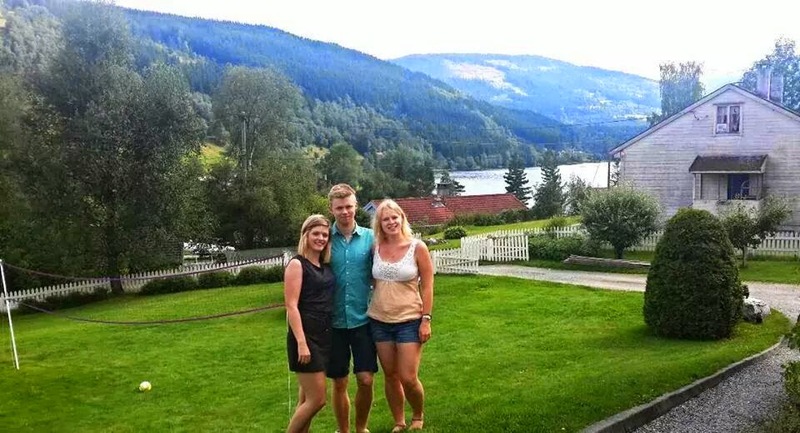 In July I arrived in Stavanger, Norway and met my couchsurfing host at the bus stop. I was a little confused at first, as I was waiting in front of a military unit. Soon enough, I hear ‘Hey Lauren!’ and my hosts walks out smiling ear to ear. It had just occurred to me that I was going to be staying INSIDE the military base- what?! Nonetheless, I took a risk, rolled with it and had an incredible time days. I completed my goal of climbing Preikestolen rock and spent a day sitting on the edge of a cliff looking down Norwegian fjords at 700m high. After Stavanger I was headed 5 hours north to Bergen, the second biggest city in Norway. I was at Central Station and had no idea which bus to get on, when I saw a guy in uniform from the same military base waiting. I went up and asked him for help, and he was on my bus as well so we chatted the whole ride there. 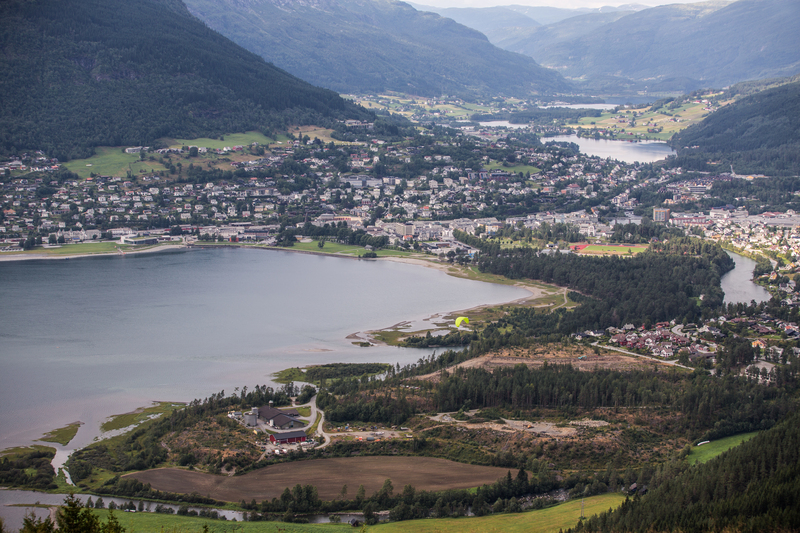 He lived an hour away from Bergen in a small village called Voss, otherwise known as Norway’s adventure sports capital. Before the end of the bus ride, he had invited me to stay at his girlfriend’s parents house there for the weekend. I didn’t have any accommodation planned, so simply just said yes. Most people would call staying with strangers from the bus crazy. But when you’re traveling, you learn to quickly gauge people’s character and have a little faith. These were some of the most generous and kind people I met on my trip. They welcomed me into their home and it was just unbelievable- we were in a valley surrounded by mountains and lakes as far as the eye could see. Being in the adventure capital of Norway, I had to make the most of it. Njal had friends at the rafting centre in town and helped me spend half a the day white water rafting in some of the fastest and most dangerous rapids in the world! I had never done this before and it was so exhilarating flying between those mountains on the water. Following this, I got the number of a paragliding instructor from one of the guides at the rafting centre. Next thing I know, I’m running towards the edge of a cliff and taking off over the entire Voss valley with a Brazillian instructor strapped to the back of me. After this, It was time to get my overnight train to Oslo. I couldn’t believe the series of events that had just taken place. 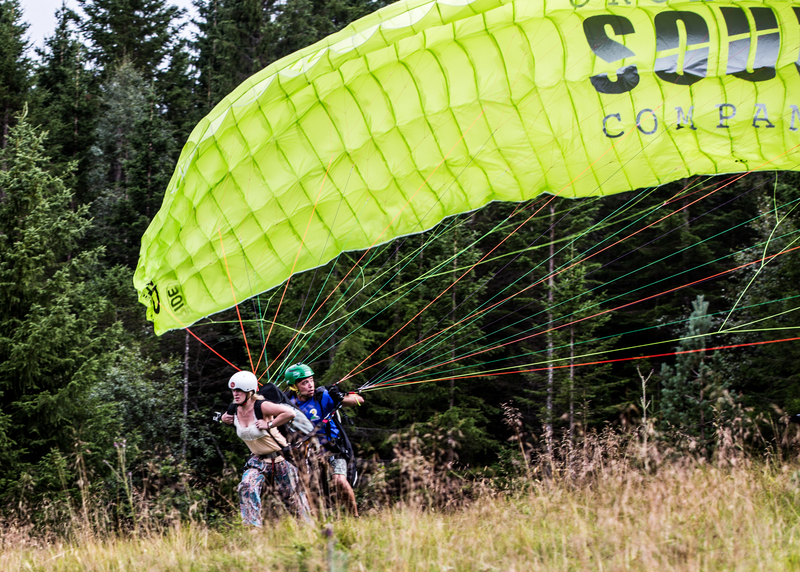 If I hadn’t have started couchsurfing, I never would have been in Norway, stayed in the military base, said Hi to Njal, gone to Voss, seen an authentic Norwegian village, white water rafted OR paraglided. I saw all of these opportunities arise and I said yes to them, both pro-active and passively. It can take anything from saying Hi to a stranger, accepting an invitation to go somewhere with friends in your hostel, whatever it is; ALWAYS say YES. There has never been a time where I’ve regretted a risk I’ve taken traveling. 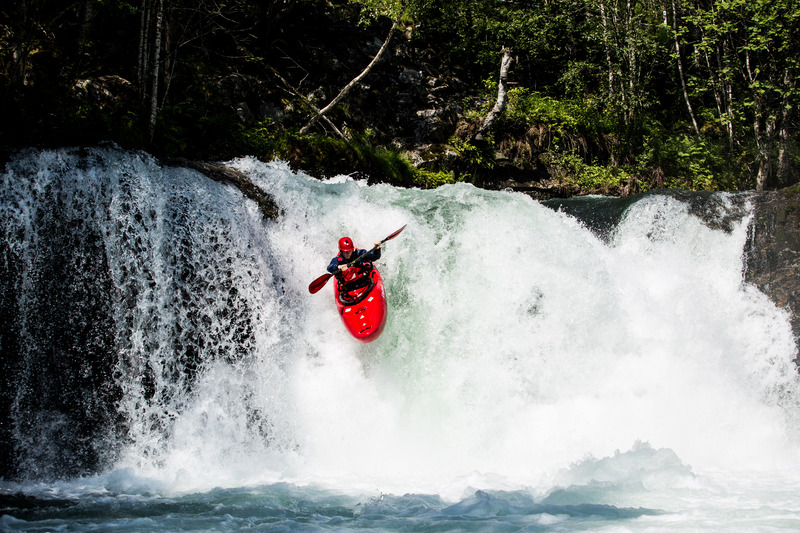 The feeling of exhilaration you get from new experiences is incredible. It is the perfect way to strenghthen your ability to make decisions out of your comfort zone. Don’t let these stories be a crazy fantasy that only happens to your most adventerous of friends. Say yes and make it happen! 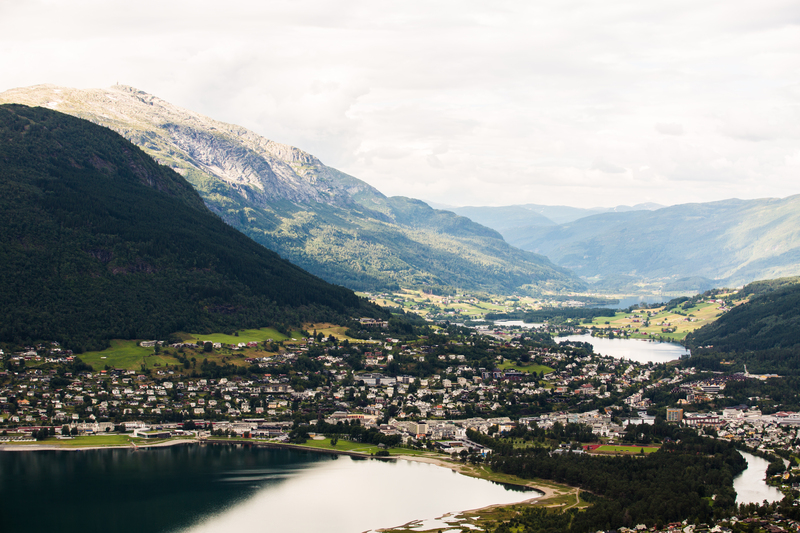 This entry was posted in Blog and tagged adventure, couchsurfing, Norway, solo travel, travel, Voss. Bookmark the permalink. very captivating and mesmirising pictures there.. Incredible indeed! !